I get a message saying my account is suspended - and I don't know why? Please could you advise. 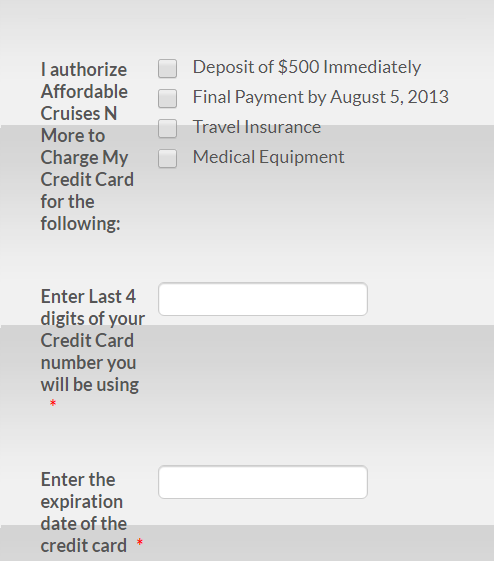 Your account was reported by our phishing detection system as suspicious of phishing activities, your form "Cruise Trip Reservation Form" is the one that triggered the suspension due to the fields asking for credit card fields, below are some screenshots about the fields that triggered the alert. We understand this might not be the case with your for, yet we had to act according to the general rule to be in compliance with our Terms: Free accounts with non-corporate emails showing suspicious forms must be suspended immediately. 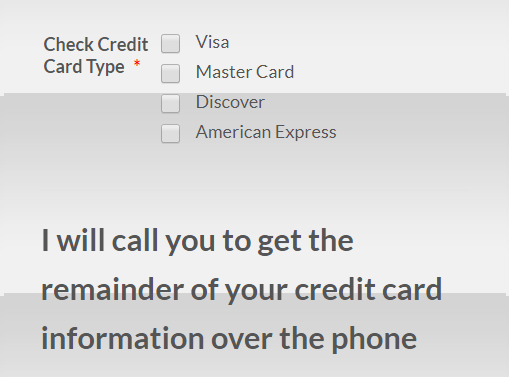 In order to reactivate your account, we will have to delete the form. 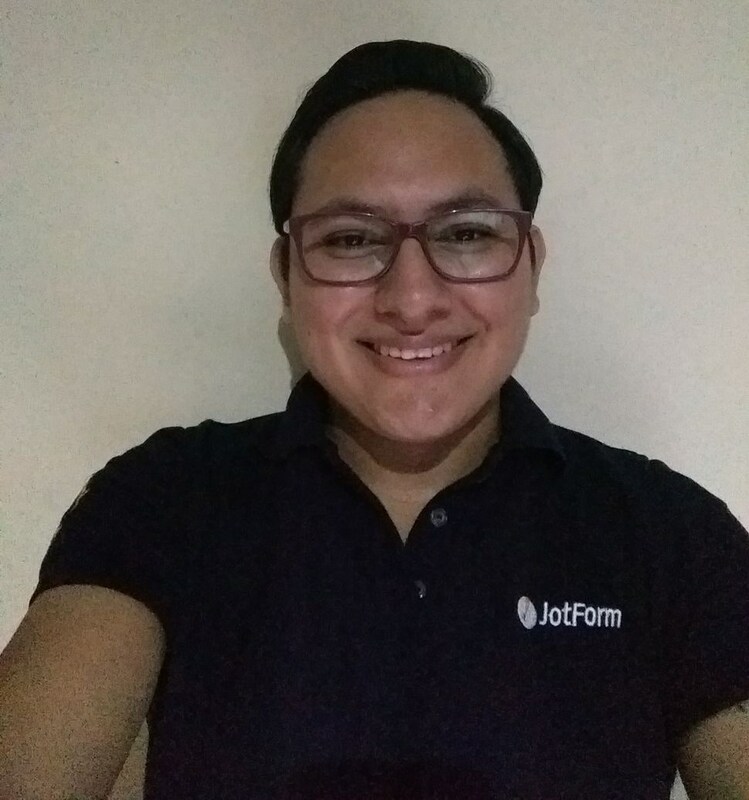 Please send an email to support@jotform.com using your corporate address, include in the subject ATT: (Kevin_G) and this support forum thread (1187374) and briefly explain the purpose of the form. You can continue building similar forms in the future, but my recommendation is that you update the email address in your JotForm profile with the corporate one.